A lot of Stockholm's charm comes from how much land and waterfront is dedicated to parks and public access. We'll also explore the mysteries of the ancient stone circles and prehistoric monuments of England. In addition, we'll hear how taking a sauna is an important part of life in Finland. The new ABBA museum in Stockholm is scheduled to open May 7, 2013. A BBC reporter got a preview of the exhibitions. 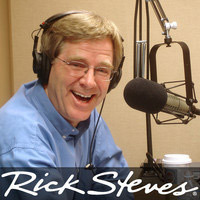 A major underwriter for Travel with Rick Steves this month is the European Union Delegation to the United States.